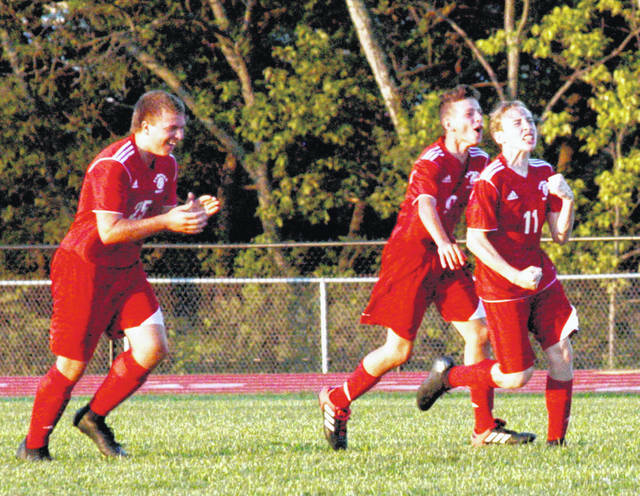 Fairfield’s Cameron Jordan (11) celebrates after scoring a goal against McClain on Thursday at Fairfield High School. The Lions fell to the Tigers by a score of 4-1 on Thursday to drop to 0-2 on the season. The Lady Lions hosted the Lady Tigers also on Thursday and the match ended in a draw at 6-6 after Fairfield netted a goal with just 18 second to play in the match.